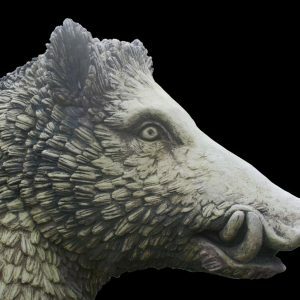 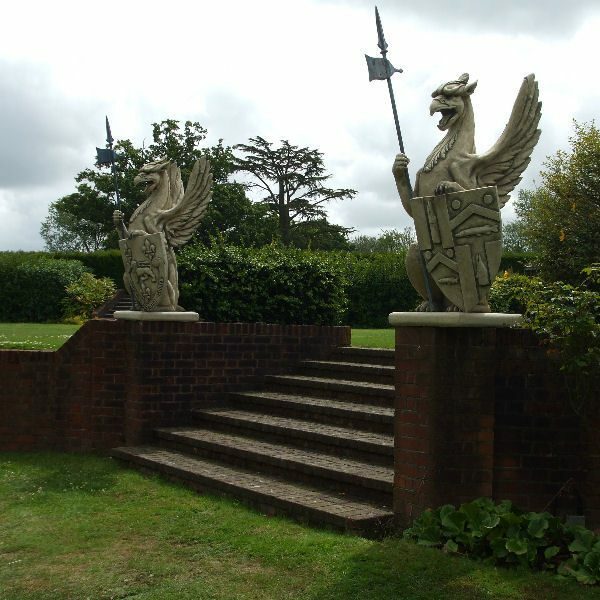 As with all projects that Triton undertake the company strives to take a sympathetic approach to the work, not only achieving a likeness as close to the original subject as possible, but also to “update history” by enhancing the subject with any changes that would have naturally occurred. 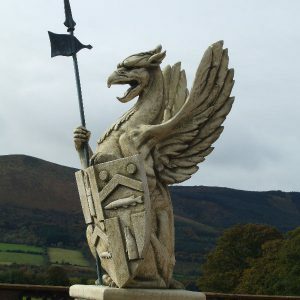 The original Gryphons, undoubtedly, would only have held the shield bearing the Oliver Gascoigne coat of arms, with our clients permission we produced two further shields, one being the Trench family coat of arms, and the other the coat of arms of the current custodian, thus updating 150 years of history at Castle Oliver. 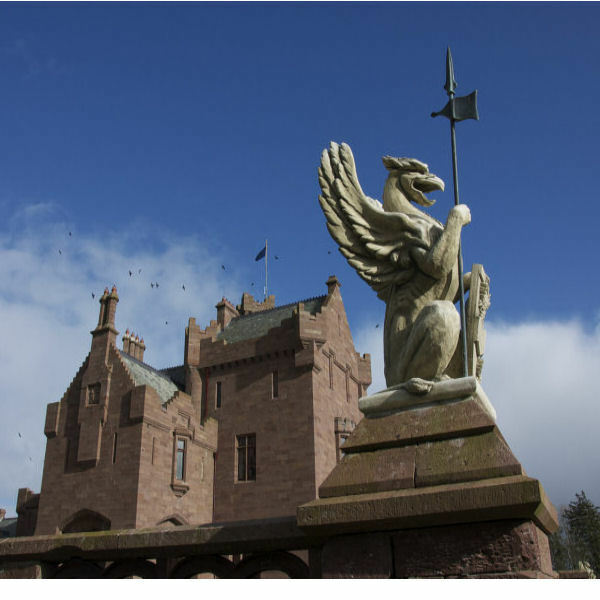 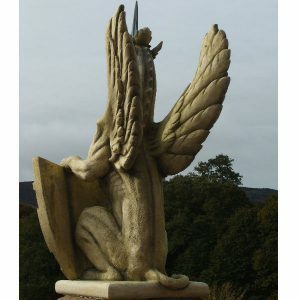 We are pleased to announce that we have been given kind permission to produce a Limited Edition of 100 pairs of the Castle Oliver Gryphons, complete with a plaque with the edition number to the base of each Gryphon, accompanied by a certificate of provenance and a complimentary copy of the book “Castle Oliver & The Oliver Gasgoines”, beautifully illustrated and written by the author Nicholas Browne. 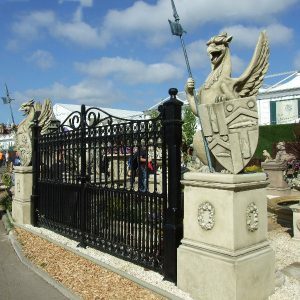 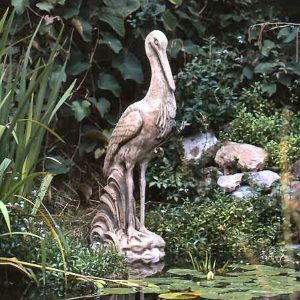 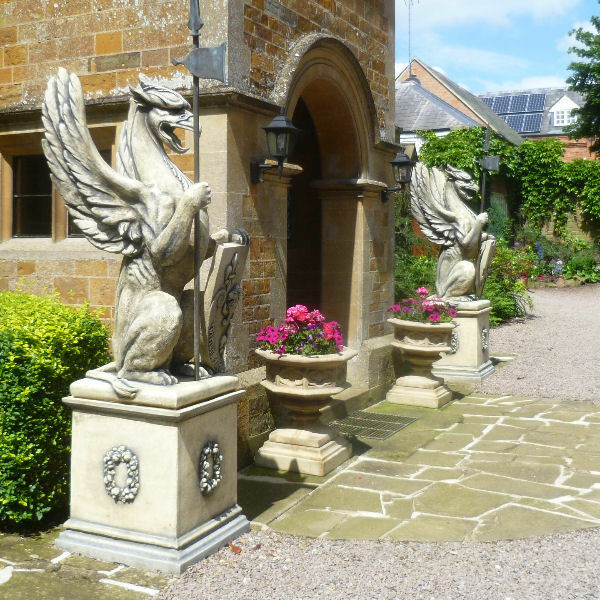 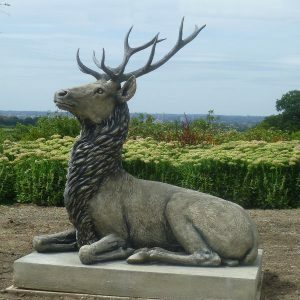 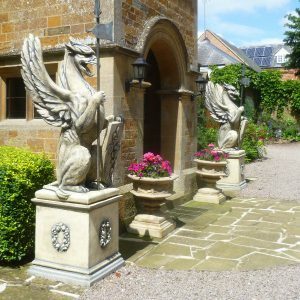 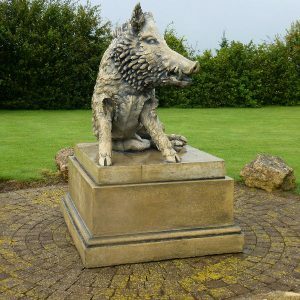 The Gryphons will be available with two plinth options, the larger of which will make a very grand statement with a combined height of over 3 meters.